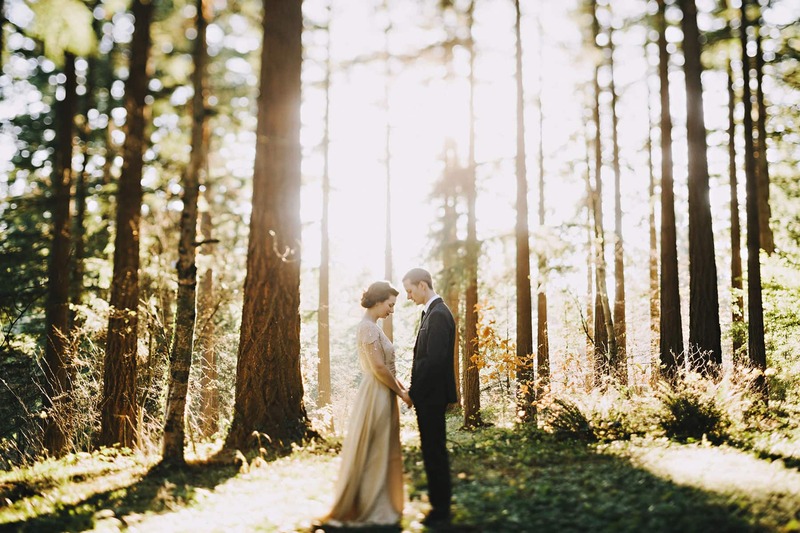 Oregon is one of the top elopement destinations in the country, for good reason. There is a wide range of venues and nature areas both in the city and surrounding area. 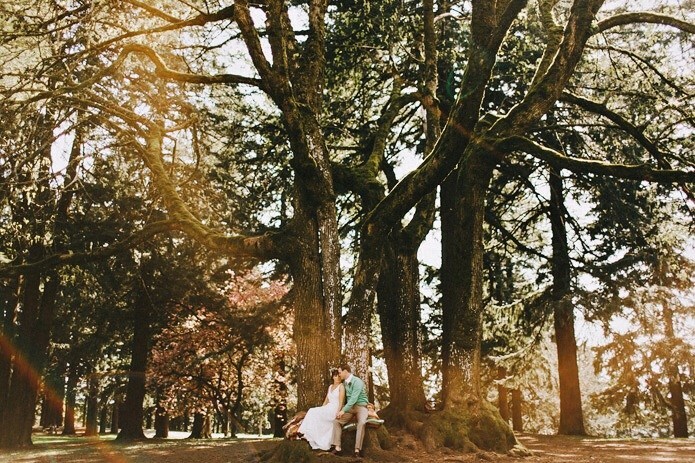 Here are a few favorite locations to have a small wedding. Mt. Tabor Park – Great views, easy parking, and within the city limits. You can share vows, take photos, and go grab a great dinner within a few block radius. Washington Park – Nestled into the hills of SW Portland, featuring towering redwoods and Douglas firs. There are many trails to explore, allowing you to find just the right spot. City Hall – In the heart of downtown, getting married at City Hall is quick and painless. There are nearby parks for quick post-wedding photos. 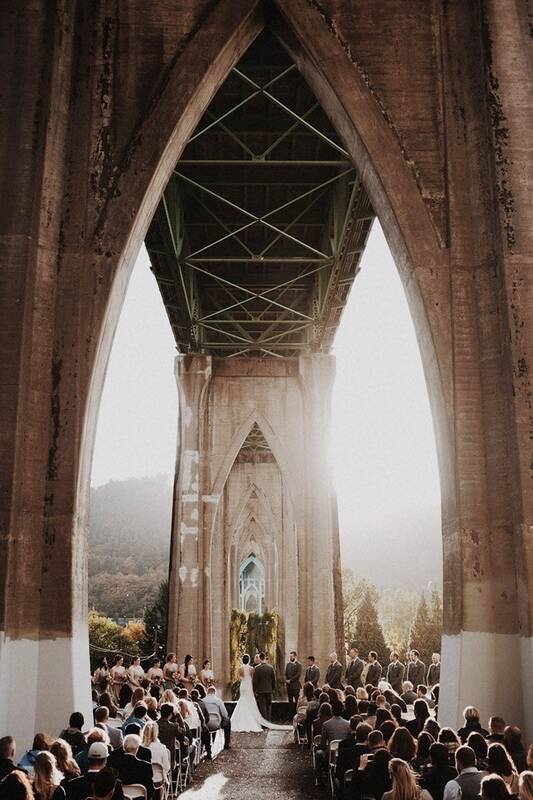 Cathedral Park – Underneath the St.Johns bridge is a beautiful park with gorgeous views of the Willamette river and Forest Park. You can also reach out to your favorite restaurant, winery, or coffee shop. Many are able to host private events in their space. Don’t be afraid to ask. Wahclella Falls – A truly stunning waterfall at the end of a one mile hike. This is the most popular spot in the area, for good reason. Cannon Beach – There are many spots in/near this popular coastal town. Hug Point, Indian Beach, Haystack Rock, Short Sands, and more. Columbia River Gorge – Pick any of the hundreds of scenic hikes, from the Oneonta Gorge to Hood River. Don’t forget about the Washington side, like Dog Mountain or Cape Horn. Mt. Hood – Either the Silcox hut or Timberline Lodge are great, there are many lakes with views of the mountain like Lost Lake or Trillium Lake. Pacific City – Another gorgeous coastal area featuring Cape Kiwanda nature areas sand dunes and rock formations. Crater Lake – One of the most picturesque locations in all of Oregon, a volcano basin filled with crystal clear water. This is my typical weekday elopement rate. Monday-Friday, within a two hour drive of Portland. I consider elopements to be any wedding with less than 10 guests. Up to five hours of photography coverage. Printing rights to the edited digital files. Travel within two hours of Portland. For shorter elopements, I have a two hour package. 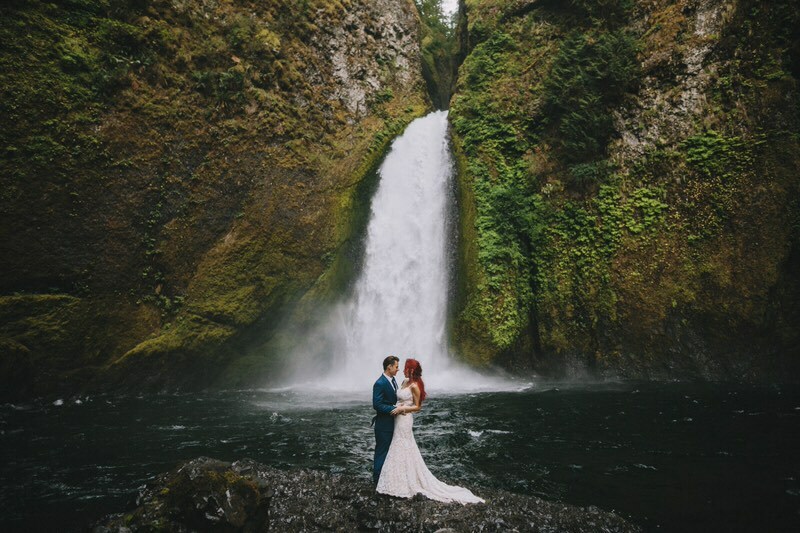 If you have an elopement idea that doesn’t quite fit a package, let me know. Plan your day for good light. This usually means either a morning or dusk ceremony time. If that isn’t doable, there are locations with tree cover that are great for mid-day. Don’t forget the getting ready, capturing these moments help tell the story of your day. These are a few of my favorite local vendors that are great for helping bring your event together. The Wedding Judge – My favorite officiant for small weddings and elopements.